The European Union's top court ruled on Friday that Poland must immediately suspend politically-charged measures relating to the lowering of retirement age for supreme court judges. 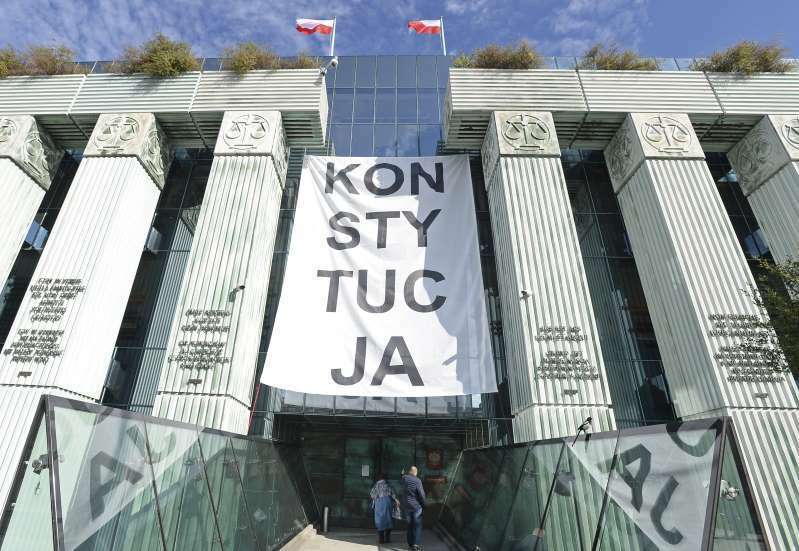 The ruling, which has the potential to further strain relations between the two, also obliges Poland to restitute to their jobs those Supreme Court judges who had been forced into retirement due to having reached or passed the age of 65. The forced retirements are part of a sweeping reform that Poland's conservative government is making to the judiciary. The government argues that removing justices who were active under the communist-era will make the justice system efficient and fairer. Over 20 judges have been forced out. The EU Commission, which referred the policy change to the European Court of Justice, insisted that the age cap violated the rule of law. Also Supreme Court judges referred the forced retirements to the European court, saying they were against Poland's constitution. Poland's Prime Minister Mateusz Morawiecki said in Brussels that Poland has received the court's notification and that his government will "respond after analyzing it." Other officials have indicated that Poland will abide by EU laws, but insisted they first need to know the details of the court's decision.